Based on the inspiration from my previous post my friend and I made ourselves some distressed and bleached denim shorts. Aren't they cool? We followed this step by step video tutorial made by caffaccino. Enjoy! I love this!!!! you did an amazing job!! I wanna try it!! I really adore how your blog is innovative! Love what you did to these! they look pretty cool :) good job! you know... I always say I am going to do a DIY but I swear this time I am seriouss! so awesome! Great! I have this diy project on my list for quite some time....I love your final resault! we really love this shorts! they are amazing!!! wow these look amazing! your skills in DIY are pretty brilliant. thanks for your comment on my blog love! im so glad you did a post on DIY bleach denim! Iv been thinking of trying this out and adding some studs to add a bit of edge! can't wait to try it! you video is definitely going to help! 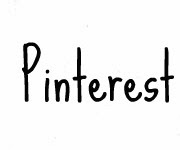 im following your amazing blog and hope you can follow as well! These shorts look awesome! I think I might just turn a pair of my own jeans into some funky bleached shorts too! how cool that you diy together! This is SUCH an awesome idea - loving those shorts! love your pants!!! GOOD DIY! love these shorts, they're great! So cool! Am so going to try this! would you like to follow each other please? LOVE these shorts! I'm totally gonna have to do this asap...possibly this weekend....hmmmm. Thats so creative...thanx for sharing!! Ahhhh, these shorts are perfect! I am always looking for fun ways to spice mine up. Wonderful jeans, I like them!!! This is such a nice post! would you mind to follow each other my dear? wow- these cutoffs are incredible! sooo perfect! These shorts are fabulous! Thanks for sharing the video. Another great DIY, shall be attempting this soon! I LOVE your DIY's. 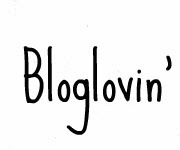 I'm following you on bloglovin and hope you'll follow back! I would love a pair of shorts like these for summer, and I'm SO impressed by your blog!! you did an awesome job! love them! I really love these shorts!!! so cute!! will to a pats version i think!! I love this tutorial and I can't wait to try it out! The ombre denim is one of my favorite trends! Thanks!